Let's go wild about zebras. 4 1/2" inches wide. 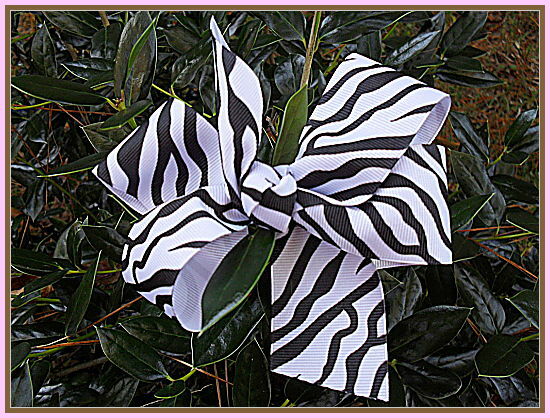 This bow can be ordered also in 3 1/2" wide. Amelia's Bows offer you the convenience of getting hair bows and embroidery in one stop. Hair apparel and embroidery clothing needs for all occasions and ages.